For as long as Canada has had a criminal code it has been a crime to be violent towards religious officials or to disrupt a religious service. Those “crimes against religion” are contained in section 176 of the code, which makes it an offence to “unlawfully obstruct or prevent… a clergyman or minister from celebrating divine service or performing any other function in connection with his calling,” or otherwise assaulting or committing violence against a clergyman or minister. The federal government was intent on removing s. 176 from the Code in its Bill C-51. 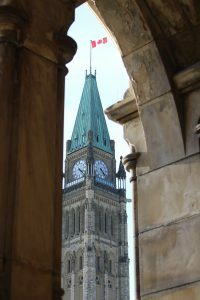 As the bill was being reviewed by the parliamentary Standing Committee on Justice and Human Rights the committee members were inundated by letters of opposition from the people of Canada. On November 8, the Committee voted NOT to remove section 176. It now goes before the floor of the House of Commons for a vote. Members of Parliament should accept the decision of the Committee and keep s. 176. Section 176 played a major role in keeping in check religious passions against minority religious groups. Back when most Canadians were Christians of only three or four different stripes (now referred to as the “mainstream” churches), there was significant opposition to any new religious groups. It was not uncommon for violence to break out against new fledgling groups. Read the historical accounts of newcomers like the Salvation Army and Jehovah Witnesses to understand more fully what I am saying. The Supreme Court of Canada’s most recent case dealing with Section 176 was in 1985. The Court noted, “There is no difficulty in concluding that this prohibition, with its consequent penal sanctions, serves the needs of public morality by precluding conduct potentially injurious to the public interest.” The lower courts continue to follow this as good law. The Supreme Court has showed an uncanny appreciation that the historical necessity for s. 176 remains salient for our time. In an age that mocks and reviles religious opinion and worship, there is a need for protection from those malcontents who would disturb the faithful from peaceful assembly. Today, the fear is not that someone from the “mainstream” churches would attack a religious service; rather, it is that so-called social justice warriors may disrupt the “powerful religious community” to eradicate some assumed injustice in order to protect those they deem to be oppressed. See Don Hutchinson’s article. Section 176 has a specific context in mind – people engaged in worship. Most other nuisance crimes are geared more around property rights – such as s.175 and s.430 of the Code. It is almost as if the government is embarrassed that the Code especially protects religion. The onus is on the government to make clear that it has the best interests of the religious communities in mind when it makes such a dramatic change. So far, I am not convinced why this expunge is necessary. 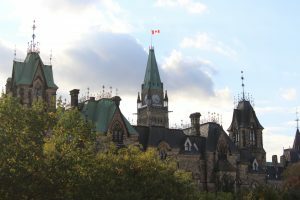 Justice Minister Jody Wilson-Raybould, in response to the growing opposition, suggested that section 176 is being removed because it refers only to Christians and male clergy. This is simply unacceptable as it doesn’t use the word Christian. But, even if the problem is that section 176 refers to Christians and male clergy, then the solution is simple: amend the section to be more inclusive. Given that the Standing Committee has voted in favour of retaining section 176, we hope that our parliamentarians will see that this government’s attempt to remove it was an unwise move. Religious people and their religious services continue to have need of the protections that this provision provides. For a recent case in point see the story of the vandalism at an Ottawa church in June of this year. To follow the parliamentary process of Bill C-51 see here. Section 176 must be in the criminal code of Canada. It must.